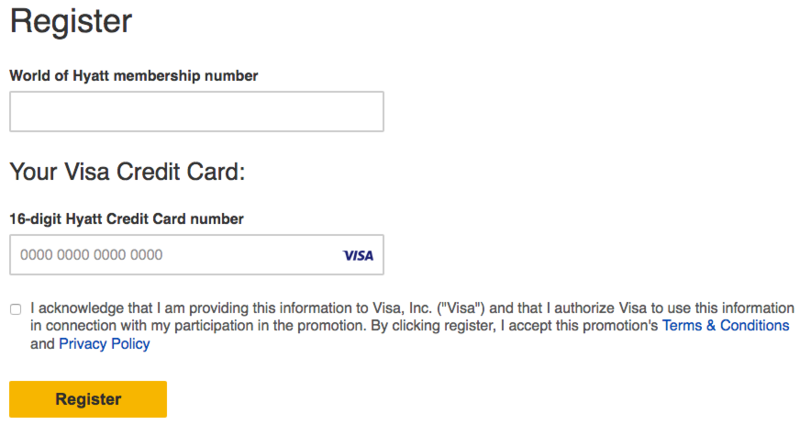 Cardholders of the World of Hyatt Visa Card issued by Chase in the U.S. can take advantage of a small promotion that rewards them with a US$25 credit for each promotional month (two) using the card on select everyday purchases. The promotion requires registration until November 30th and spending $500 on internet, cable and phone services; shipping; grocery stores & movie theaters in the U.S. by December 31, 2018 in order to get the 2x $25 statement credit. This is an easy way to get an additional 10% cashback on your purchases (2x $25 for each November & December) in the respective categories. This isn’t a targeted promotion so anyone can sign up for it. In order for this credit to hit your account the merchant needs to be properly coded as a grocery store, telecom, shipping company or a movie theater. See the T&C for more details but there is so much fine print that I honestly doubt they can track all this. Purchases at convenience stores such as CVS and Rite Aid where lots of people like to purchase gift cards and small grocery items usually post as ‘Drug Stores’ and might not bring the desired result according to comments on this Flyertalk last time around. It’s easy to sign up following the access the registration page for this promotion here. There was a similar promotion earlier this year with a pretty spotty record when it came to cardholders actually receiving the bonus as advertised so as you say ‘YMMV’ (Your Mileage May Vary). Register and if you get the bonus for regular spend then fine, if not then that’s too bad. Just don’t make any unnecessary purchases. It should be easy to reach that amount of spend, especially during the holiday season. I like these promotions because they help to push down the annual fee a little bit ($75-$95 for the Hyatt Card) and Chase pretty much stopped offering retention bonuses for their cardholders of most products. To be eligible for this statement credit offer, you must log on to the website referenced in this offer and register by 11/30/18 11:59 p.m. ET. You will qualify for and receive your statement credit if you make Purchases with your credit card in the following rewards categories that total an amount at or above the specified target amount during each month of the promotional period: internet, cable, and phone services; shipping; grocery stores; movie theaters. Merchants who accept Visa credit cards are assigned a merchant code, which is determined by the merchant or its processor in accordance with Visa procedures based on the kinds of products and services they primarily sell. We group similar merchant codes into categories for purposes of making rewards offers to you. Please note: We make every effort to include all relevant merchant codes in our rewards categories. However, even though a merchant or some of the items that it sells may appear to fit within a rewards category, the merchant may not have a merchant code in that category. When this occurs, purchases with that merchant won’t qualify for rewards offers on purchases in that category. Purchases submitted by you, an authorized user, or the merchant through third-party payment accounts, mobile or wireless card readers, online or mobile digital wallets, or similar technology will not qualify in a rewards category if the technology is not set up to process the purchase in that rewards category. Please allow up to 8 weeks after qualifying for statement credit to post to your account. (“Purchases” do not include balance transfers, cash advances, travelers checks, foreign currency, money orders, wire transfers or similar cash-like transactions, lottery tickets, casino gaming chips, race track wagers or similar betting transactions, any checks that access your account, interest, unauthorized or fraudulent charges, and fees of any kind, including an annual fee, if applicable.) Maximum statement credit accumulation during the promotional period is $50. To qualify for this statement credit offer, account must be open and not in default at the time of fulfillment. This promotional offer is non-transferable. Internet, cable, and phone services: Only purchases for internet, cable, satellite television, radio, cellular, wireless data, and landline services will qualify. Please note that purchases of equipment are not included. In addition, if you purchase or pay for your internet, cable and satellite television, phone or related services in a merchant’s store that is not classified by the merchant in the applicable services category, the purchase or payment will not qualify; for example, phone bill payments in a merchant’s store that is classified as a telephone equipment store. Shipping: Merchants in the shipping category specialize in mailing packages, hauling freight, and transporting goods or documents. Shipping merchants include couriers, postal and freight shipping companies, express shipping services and mailbox stores. Please note that purchases at some merchants will not qualify. Examples include merchants who sell a wide variety of general goods but also ship items, including office supply stores that also mail packages. Also, purchases, or portions of purchases, that are not processed by the merchant as shipping purchases will not qualify. These include the additional cost to ship something you buy, or using a third party (such as Amazon) for bulk warehousing and shipping. Merchants that primarily sell boxes, packing tape, bubble wrap or other shipping supplies are also not included in this category. Grocery stores: Merchants in the grocery stores category include supermarkets, merchants that offer a full service grocery line of merchandise including a deli and bakery as well as smaller grocery stores. Please note that some merchants that sell grocery items are not included in this category; for example, larger stores that sell a wide variety of goods and groceries, such as warehouse clubs, discount stores and some smaller merchants such as drugstores, and merchants that specialize in only a few grocery items. Purchases made at gas stations from merchants who also operate grocery stores are not included in this category. In addition, delivery service merchants will not be included in this category unless the merchant has set up such purchases to be classified in the grocery stores category. Movie theaters: Merchants in the movie theaters category show motion pictures to an audience, including at drive-in theaters. Please note that theaters that provide live entertainment and merchants that sell and rent movies or provide movie subscription or streaming services are not included in this category. In addition, if you make purchases that are not processed by the merchant in the movie theaters category, the purchase will not qualify; for example food and beverage, or merchandise purchases. This offer is only valid for Hyatt Credit Cardmembers and World of Hyatt Credit Cardmembers in good standing who receive this offer and register for it by 11/30/2018. This offer only applies to Qualifying Transactions made with your Hyatt Credit Card or your World of Hyatt Credit Card during the promotional period (11/1/2018 – 11/30/2018 and 12/1/2018 – 12/31/2018) in the amount of $500 or more per month in total at internet, cable and phone services; shipping; grocery stores; movie theaters in the United States. Please allow 6 to 8 weeks after qualifying purchases post to your account for statement credit to post to your account. Maximum statement credit accumulation during the two-month promotional period is $50. Credit card product changes during the promotional period will forfeit this offer. To qualify for this offer, account must be open and not in default at the time of fulfillment. This offer is non-transferable. Previous articleReader Question: $21K In Fraudulent Charges Due To British Airways Hack & HSBC Refuses To Dispute?